Author comment: This page was originally posted in October of 2012. I have moved it to the front page to highlight the core formulation. 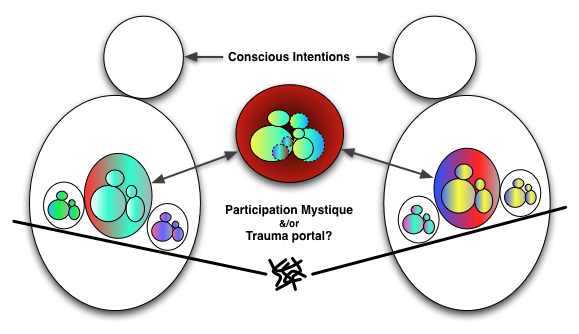 The teaching I keep moving towards is in the basic idea our emotional triggers – serving to activate the blur – can be understood as psyche signaling we are ready to engage in a take 2 healing round. The disconnects essential to survival at the time of the original trauma, are not meant to carry us the whole way. Can you follow the below?